We are not long home from a wonderful family holiday (2A & 3C) in the South Island of New Zealand. We spent the tail end of our holiday in Queenstown and it proved to be one of the highlights of our trip. What a fabulous place! It is an adrenaline hit just being there. Queenstown is located in the South Island of New Zealand. There is a commercial airport in Queenstown with direct flights daily. There are so many good options for accommodation in Queenstown. We were looking for a large family room with kitchenette so we could at least cook a few meals at our apartment. We landed on The Heritage which was in a great location and had the most breathtaking views. From our quick scout around, based on location, Crowne Plaza and Rydges would have to be at the top of the accommodation lists. There are also 3 holiday parks located in Queenstown if you are looking for cabins or somewhere to park your motorhome. It isn’t the cheapest family activity by any means at $399 per family (2A + 2C) but it is iconic, unique and very exciting. 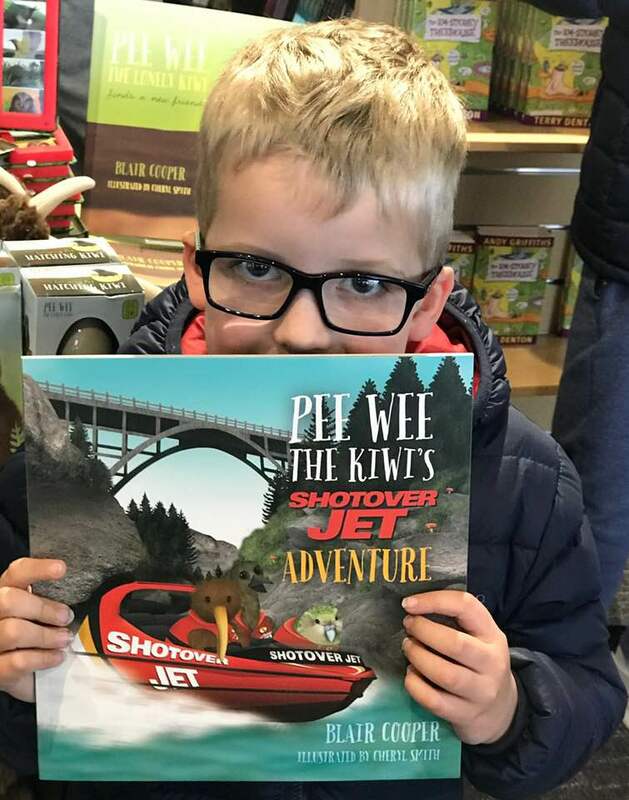 They do recommend that you wear sunglasses while you’re riding on the Shotover Jet, so we had a quick stop off at the chemist on the way there to get the kids some. If you’ve come to bungy, then this is your spot. 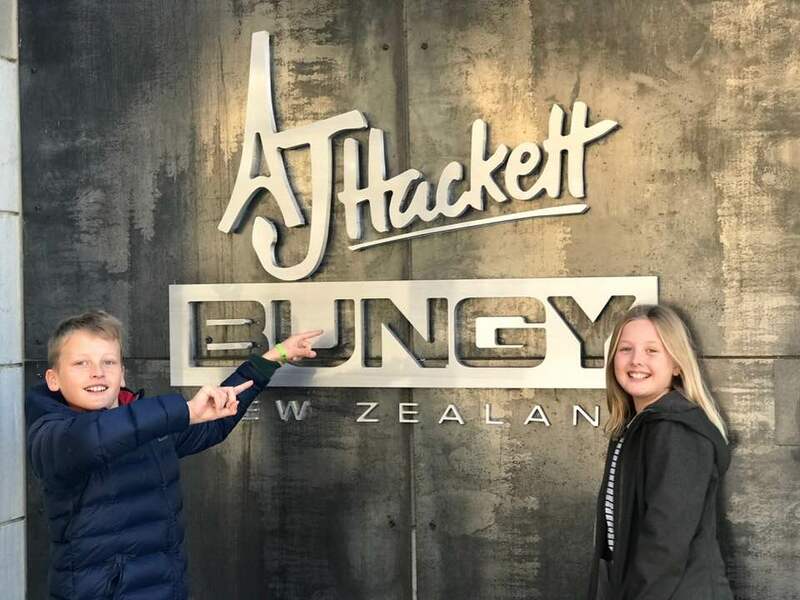 This is the home of the original bungy. 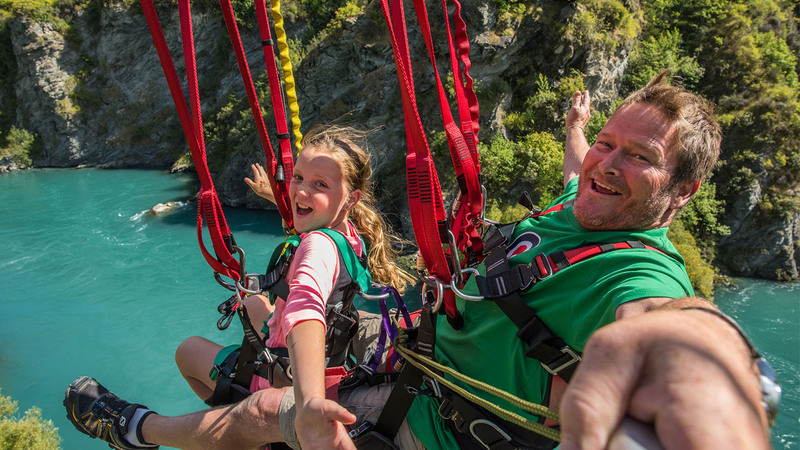 Whether you’re jumping or watching, the Kawarau Bungy Centre gets you up close and personal with the action. 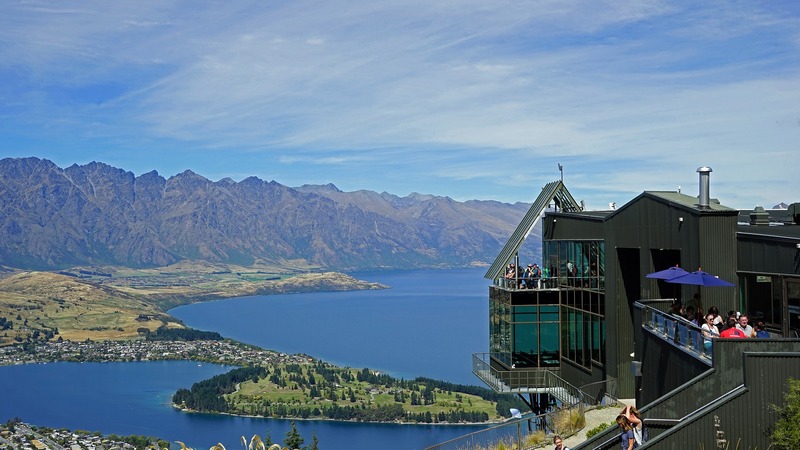 Sitting proudly above Queenstown is the Skyline Queenstown Lookout & Restaurant. We took the Gondola to the top and had lunch with this stunning view. The Skyline Gondola is the steepest cable car lift in the Southern Hemisphere and the kids took great delight in watching me clinging to the safety rail on the way up. There is also luging available at the Skyline but unfortunately it was closed for maintenance when we visited. I believe it is fully up and running again now. It looks like so much fun. 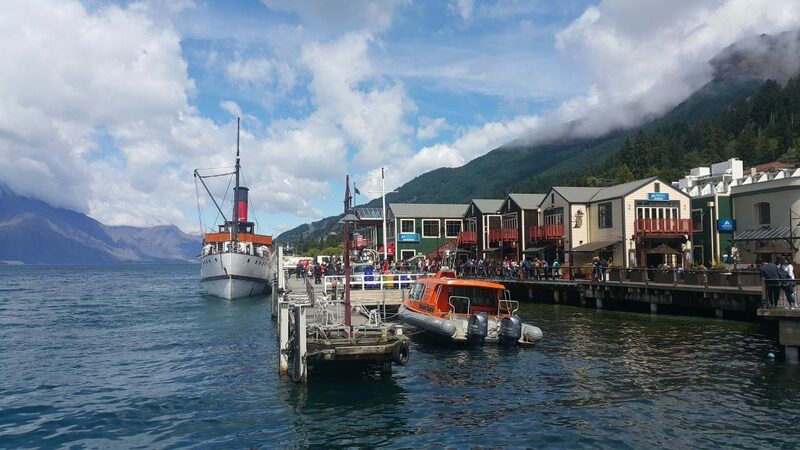 For some down time between activities, we enjoyed strolling around the pier and shopping in downtown Queenstown. The shopping precinct is right on the shores of Lake Wakatipu in the centre of town. It is compact and easy to explore. We had lots of ice-creams, lots of coffees and just generally enjoyed taking in the live entertainment provided by buskers and locals. Oh my goodness, put this place on your list if you are planning on visiting Queenstown. We literally stumbled upon it because my youngest needed a bathroom stop! Thank goodness we did! It is one of the most picturesque & quaint little towns, full of old world charm. It is a living historic settlement with restored shops and cottages lining the main street. We ended up having lunch at the Italian restaurant and finished it off with a lengthy stop at the lolly shop. We tried a number of different restaurants and cafes. We can thoroughly recommend Fergburger (along with the crowds), Pedro’s House of Lamb, Vudu Cafe & Larder and Patagonia ice-creams & chocolates. 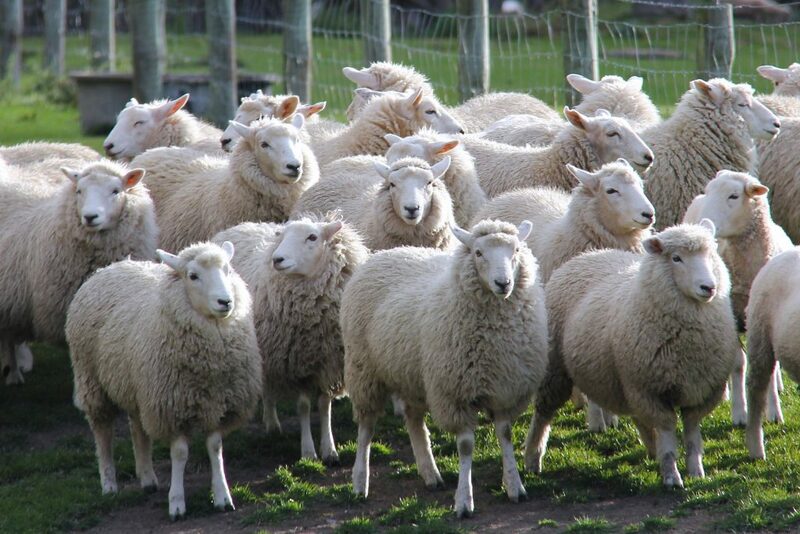 Just a silly little tip bit…they say there are a lot of sheep in New Zealand and there really are!!! The family laughed when I wanted to pull over and take their picture! They’re soo cute. We only scratched the surface of what you can see and do in Queenstown as a family. 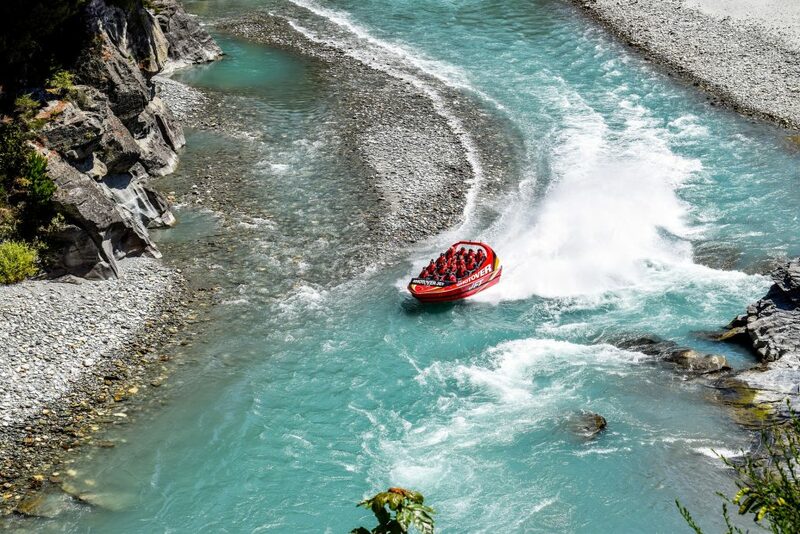 In addition to the above you can do skydiving, horse-riding, skiing, bike riding, paragliding, 4WD Driving, kayaking, hiking, river rafting, luging, boat cruises, farm visits etc. Check out 100% Pure New Zealand for many more details. The scenery is overwhelmingly beautiful and there is so much to see and do. 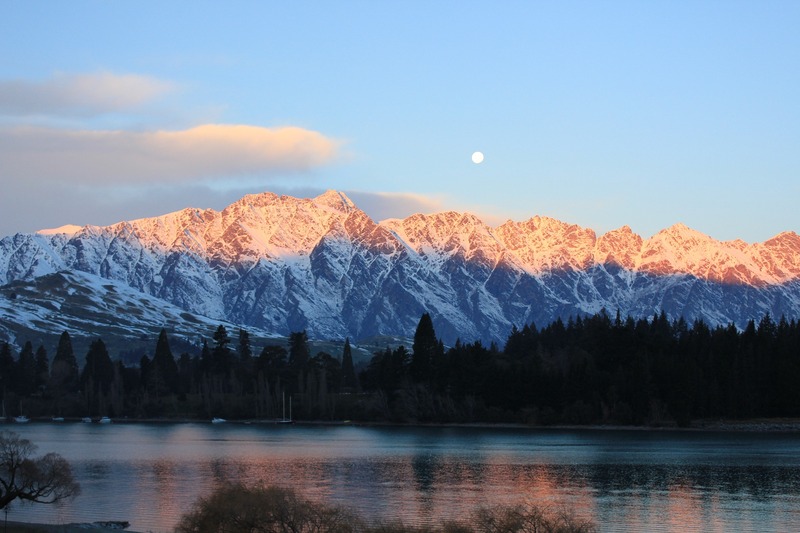 They say you can’t visit New Zealand without a Queenstown fix, and we think they’re right! We can’t wait to go again.